Donald Eyberg, AIA has over 30 years experience as an architect designing meeting, entertainment, and sports facilities including convention centers, sports arenas and recreation fields. Mr. Eyberg received his degree in the honors program from the Institute of Technology at the University of Minnesota which included studying city planning in Rome and extensive travel in Europe. Mr. Eyberg’s is a recognized expert in arenas, stadiums, convention centers and related entertainment, education, meeting and office facilities. 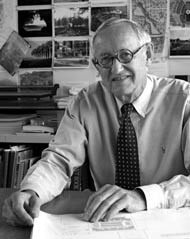 As a group leader at Ellerbe Becket (AECOM), he was responsible for over 100 architects and engineers who designed projects at Yale University, University of Virginia, Taylor Center at Minnesota State University, and the University of California-Berkeley Haas Pavilion. Mr. Eyberg’s convention center projects include Austin Center, Kentucky International Center, and Devos Place in Grand Rapids Michigan. His stadium and arena work includes the Hubert H. Humphrey Metrodome (NFL & MLB) stadium, Target Center (NBA) arena, and Husky Stadium, and design reviews for Target Field (MLB). Recent arena projects have been completed in Chicago, North Carolina, Michigan, Minnesota and South Korea. In his recent international building projects he has lead the design team effort for the Cheongshim Peace World Center in Korea, and consulted on the Constatina arena in Romania with the design architect.